WCUHotels.com Follow for Chance to Win! 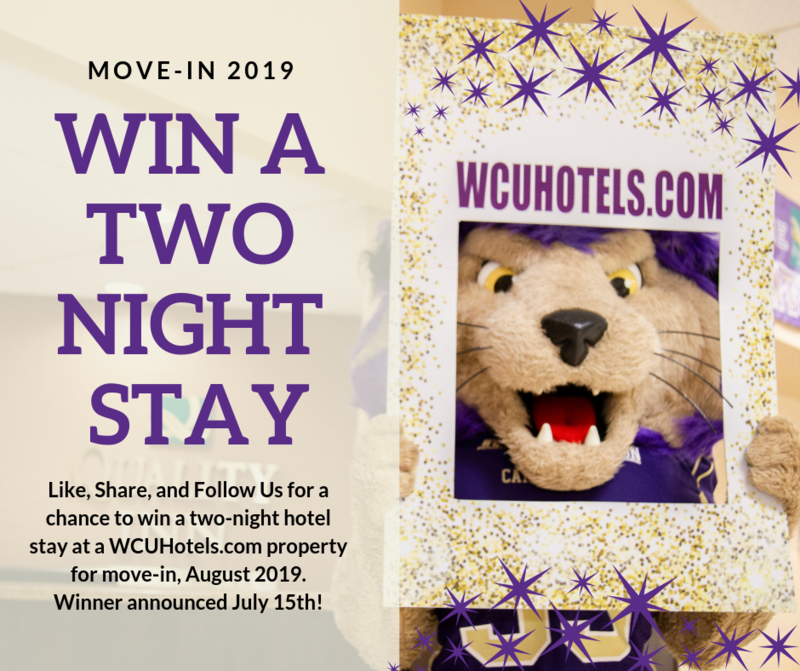 WCUHotels.com is giving away a two-night stay in August 2019 for move-in! Terms and conditions apply. Like, Share, and Follow Us on social media for a chance to win! Winner will be announced July 15th!